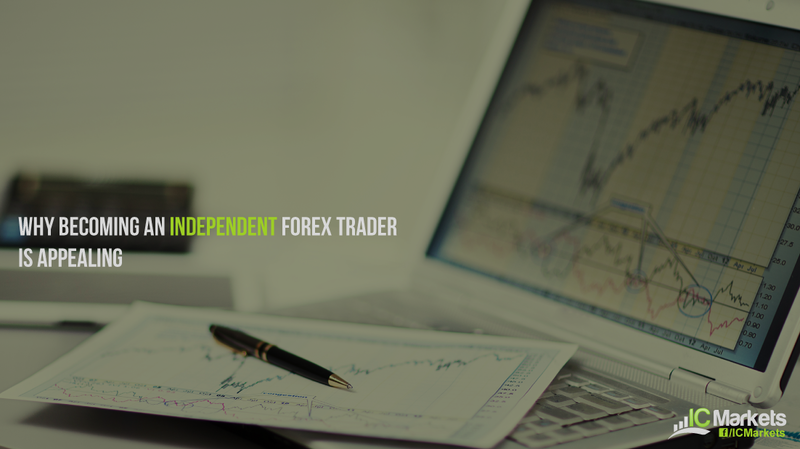 The word ‘Independent’, or ‘financially independent’, is KEY here my fellow traders! Like most folks, the thought of low-paying government pensions, working in your seventies and, just, well, working in general, usually brings a sour taste to one’s mouth. A lot of people are often left thinking that there must be more to life than this! As a matter of a fact, according to the Telegraph UK, most people at work are miserable. Shocker! Becoming financially independent is what most traders, and most people for that matter, strive for, hence the reason so many try their hand at trading. This is a business which requires no formal qualifications (assuming you’re entering at retail level), can provide one an income, a pension and for some, millionaire status. There truly is no comparison! Working/trading from home is dreamy to say the least. No more rush hour morning commutes to the office or construction site! By and of itself, this is an immensely attractive aspect! With this being said though, some traders find it difficult to trade from home and need human interaction. One can overcome this by considering joining a trading arcade. Being your own boss. How many of us truly have great workplaces? A place where you feel respected and valued. An arrogant manager, or a company that makes you feel as though you’re nothing more than a robot with a heartbeat kills motivation, and rarely allows one to reach their full potential! Being your own boss is therefore a huge plus to becoming a forex trader. The idea of earning money while essentially not selling anything, having no boss, no clients to be worried about and no schedule, is extremely appealing. Some take trading a step further and use the flexibility this wonderful business gives to travel the world like this young chap does here Forex Trading Nomad. Living by your own rules and not on someone else’s schedule is, in our humble opinion, the epitome of TRUE independence. Like plumbers, electricians, doctors, dentists and lawyers, trading is a skill. A skill that enables one to essentially ‘give back’. Having the ability to teach individuals how to become autonomous is better than any degree, in our opinion. Learning how to handle one’s finances is unfortunately not taught during school years, so It is no wonder so many are in debt right now. Educating others how to effectively trade their way to a better lifestyle and create a future that no job could ever do is a feeling that’d stay with you forever. No amount of money can compare. You’ve essentially handed over keys to a more sustainable brighter future. This is the ‘biggy’. How many times have you heard friends, relatives or colleagues say they wish they could spend more time with their family/children. Our guess is a lot! Let’s be honest, society today is stressful. Rushing is the norm! Rush to get the kids to school, rush to get their dinner ready – life is just one big RUSH! Becoming an independent forex trader is effectively a lifestyle. You set the rules/time by which you trade. Spending the best part of the weekday stuck in a prison-like office or at a dusty construction site surrounded by people you have little to no emotional connection with obviously limits your time you spend with family. This is especially true for people with children. Being there for them, especially when they’re growing up, is something a lot of parents wish they could do. Trading requires no psychical effort. There’s no lifting, no pushing (unless you consider ‘clicking a mouse button’ physical) and certainly no pulling. As long as you’re well-balanced, have your vision and are able to move your arms/fingers, trading is something that can be done until the day you depart this mortal curl. What other job can honestly offer that, not many! Often perceived as an easy way to riches, forex trading is actually one of the most challenging tasks one can undertake in life. Learning to trade forex is not something you’ll achieve over a weekend, a month or even a year, despite what some insane gurus claim. It takes time, dedication and a truckload of will power to become proficient. A lot of traders are not prepared for this and therefore throw in the towel, hence the high failure rate. Think about it logically for a moment. How long does it take for the average doctor or lawyer to train, five years, ten? Why should trading be any different? Dependent on your style of trading it may require one to be at the screen for several hours each day. However, one still has the benefit of setting WHAT time one trades and is therefore needed be in front of the screens. The majority of people struggle not with the technical side of trading, it is usually the psychological component. Knowing thyself is crucial. The ability to take risks and stick to the rules you’ve set is easy in hindsight but incredibly difficult when hard-earned funds are bouncing up and down in front of you! There is so much information out there, it’s difficult to know where to begin. This is where having a trusted mentor helps. To start, however, check out our beginners guide to technical analysis and also our forex trading 101 section. 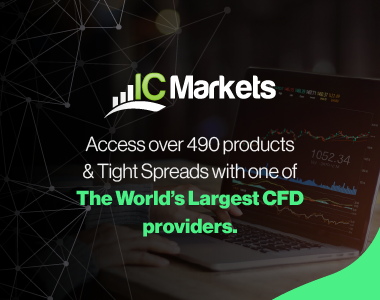 In addition to this, you may find it beneficial to follow along with our experienced analysts who scour the markets daily to find high-probability trading opportunities IC Markets Blog.